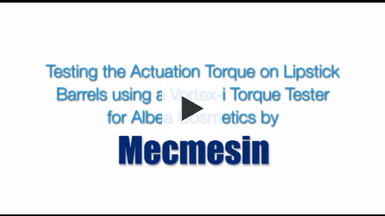 Mecmesin can assist in the characterising the "feel" of personal-care products, checking the smooth operation of dispensers and the robustness of packaging for filling and transportation. 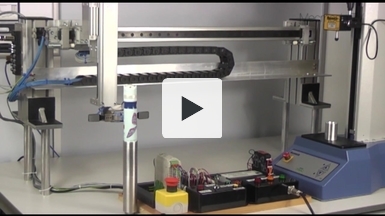 In this video a 2-axis auto-handler is used to select an aerosol can and transfer it to a platform so that the force needed to activate the aerosol can be measured with a Mecmesin MultiTest-i force testing stand. 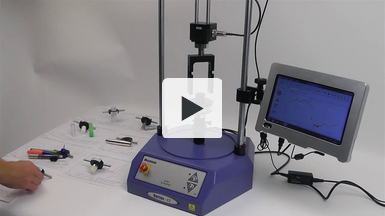 By automating the sample handling, the system can operate 24 hours a day without needing a operator to load and test the samples from the production line.